Social Media is the new wave of interactive technology, and it’s not going away. Everyday social media outlets such as Facebook are expanding, changing, adding new features, and improving the user experience. We may all be friends with our favourite sports stars on Facebook or we may be fans of our favourite authors on Facebook. Now, we can also save money by using the Facebook Deals mobile application for our Smart Phones. Facebook Deals is a new feature that allows Facebook mobile users to view and redeem up to the minute deals from their favourite merchants and vendors. Facebook Deals allows Facebook mobile users to search deals from their favourite merchants and vendors and then redeem them in store for discounts. If we are out shopping we can “check in” to Facebook Deals and view coupons from our favourite stores. The virtual coupon will be displayed on the touch screen of our smart phone; we can redeem the coupon by showing it to the merchant while we check out. How is Facebook Deals different from Groupon? 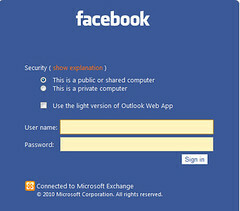 Facebook Deals is only available to Facebook mobile application users. These deals are not available to everyone, as they are “in store” virtual coupons that can only be redeemed at the check out by showing the coupon on our smart phone. Facebook Deals do not have to be purchased in advance as needs to be done with Groupon. While we are out shopping we can “check in” to Facebook Deals to find up to the minute deals from our favourite vendors. How Much does Facebook Deals Cost? Facebook Deals was created to increase advertising revenue for Facebook. There is no cost to Facebook mobile users. Unfortunately, Facebook Deals is only available to Facebook mobile users. There are no commissions and no fees associated with redeeming Facebook Deals at the checkout in our favourite stores. Facebook receives their revenue from the participating merchants and vendors who join Facebook Deals. What Kind of Deals are Available from Facebook? Facebook Deals can range from a free gift with purchase to a percentage off of our total sale. Facebook Deals can also be a promotion on a specific product such as a 2 for 1 deal or a specific discount on an item such as a $5 pair of jeans. The deals are always changing. We will have to “check in” to view all up to the minute Facebook Deals. To learn more about Facebook Deals please click here.